What is a Gel Memory Foam Mattress? Modern bar stools have become very popular in recent years for their minimalist look, functionality and varying styles. Many people who are moving into newer condos with modern decor or upgrading their kitchens are buying bar stools to complete their kitchen. They are also a great spacesaver in smaller homes because it provides extra seating so family, roommates or guests can sit and relax . But which bar stool is right for your home? With so many styles, colours and sizes, it can be confusing to choose the right bar stool. We will guide you through the steps you can take to choose the right height and style that works best for your space. Once you know this height, subtract about 10 inches from that number and this is the approximate height of the bar stool you will need. So if the height from the floor to the top of your counter is 36 inches, then a counter bar stool would be ideal at about 26 inches. Depending on the style, some bar stools allow you to adjust the height while others don’t allow you to change the height. If you often have guests that sit on the bar stools, it would be more convenient to choose stools that can be easily adjusted. Adjustable bar stools are also convenient if you plan on moving homes sometime so you don’t have to buy a whole new set of stools if the counter is a different height. It’s a one-size fits all solution! Shortbar stool: This is a comfortable alternative to dining tables for family and friends. It will provide a unique look to your home. Its seat height ranges from 16 to 23 inches. 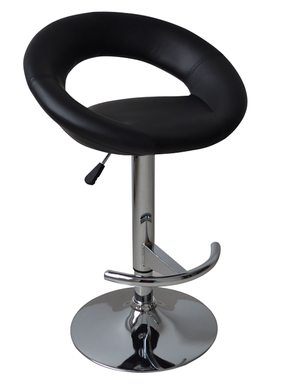 Counter bar stool: This is designed for kitchen islands or home bars. These are perfect for entertaining guests and a great place for people to keep you company while you’re cooking. This ranges from 24 to 27 inches. 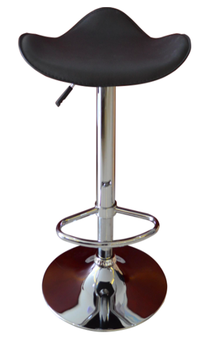 Tall bar stool: This option is for high table surfaces and this stool ranges from 34 to 40 inches. Now that you know the height of your bar stool, you can choose one of three back heights and styles: full back, low back and backless. Full back: This gives the proper back support if you think that your family, roommate or friends could be spending a lot of time on these stools. Even if the people in your house don’t spend a lot of time in the kitchen but you love hosting people often, this would be more comfortable for them in smaller homes that require more seating room. Low back: This is an increasingly popular stylish option for people who want a more minimalist look in their kitchen. Backless: This is a great option for people who want to save space and also have a minimalist look. It’s a good choice for people who won’t be sitting on these bar stools for a longer period of time. Depending on your preference, you can choose round or square seating. Round seats can take up a bit more room. You can choose based on the look you want to match with your countertop. If you are hosting many guests, a swivel stool would be great for them so they can spin around so they can easily talk to different people. Modern bar stools have become very popular in recent years for their diverse styles and functionality. They are especially beneficial for people who want to save space in their smaller homes such as condos. To choose the right bar stool height, first measure the height from the floor to the top of the countertop and subtract this number by about 10 inches to get the right bar stool height. 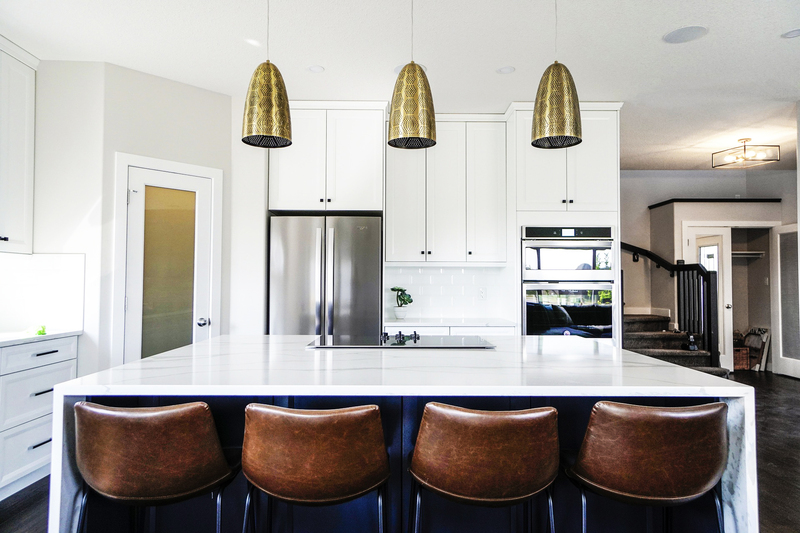 After that, you can choose a stool that matches your countertop based on your preferences for the back style, round or square seating, ability to adjust the height and swivel style.